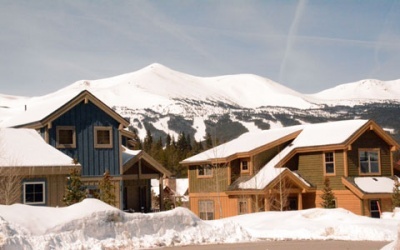 Summit County offers challenges to attainable housing that larger population centers don’t face. The tourism industry requires a large number of seasonal workers as well as full time permanent workers, thus the need for all types of housing, from ownership to employee and short-term rental housing (6 months or less). The industry also creates a diverse employment base of additional industries: retail, housing, utilities, public transportation, personal care, health, education, local government, finance, entertainment and social services – all of which help sustain the primary industry of tourism. The most common way to keep housing affordable is by creating deed restrictions. Deed restrictions limit how much a property appreciates and keep away second-home owners by requiring home buyers work and live in their community year-round. Summit County has formed an incredible Housing Authority to meet locals’ needs, Summit Combined Housing Authority (SCHA). They are an incredible resource for assisting locals with home buyer education, downpayment assistance and home rehabilitation loans. In addition to several affordable housing neighborhoods in the area, there is a new neighborhood underway. The first phase of the Valley Brook neighborhood has been completed, and may eventually include up to 300 affordable housing units on the block of land north of Valley Brook Road to Coyne Valley Road, off Airport Road. The plan for this subdivision includes a mix of housing types including small single-family homes, duplexes, triplexes, condominiums and townhomes. Parks and trails along the Blue River have been designed to meet the needs of local families and employees. This neighborhood will be a model for energy conservation and sustainable development practices. Contact your Broker/Partner to learn more about affordable housing in the area, or visit www.summithousing.us.